REVENGE OF THE TALK BACKS vol. 6! 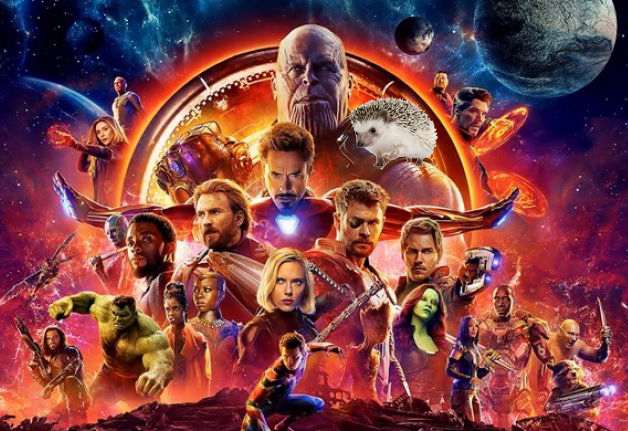 "Hedgehog" vs AVENGERS: INFINITY WAR! Precious Roy here-- so, Wheels got revenge on me this morning by leaving this on my front door, with a note that it must be posted today. Well played, brother... well played. As has been stated in previous Hedgehog's Corners, the ideas stated here do not reflect the thoughts and opinions of AICN or their affiliates. It's satire and let me quit the bad acting to say it's actually a fun read for us. Okay, back into character: if you are a Talkbackers and want to contribute something similar, contact Wheels (or me and I'll likely pass it on to Wheels). According to Wheels, "It can be anything, as long as it has a geeky slant to it." Unfortunately, The Beatles are wrong, as well as mostly dead now. You don’t just need the glove you also need the five infinity crystals to put into it, dumbasses! Watch the movie FFS! 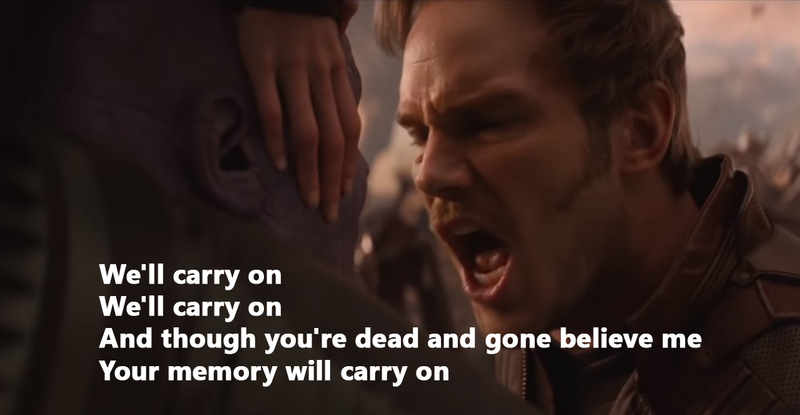 Although they did know that the crystals would eventually “Come Together” and Thanos did say “I Want to Hold Your Hand” to Gamora and Doctor Strange knew he could beat Thanos “With a Little Help from My Friends” and when Thanos used the reality crystal to turn Drax into a walrus he said “I am the Walrus”. Probably. What on earth am I talking about? WRONG! It’s mostly NOT on earth because it is also in space because it is the greatest superhero film of all time apart from UNBREAKABLE it is AVENGERS INFINITY WAR! Have you seen it? Of COURSE you’ve seen it! You probably saw it on opening night, didn’t you? And you’ve seen it again many times since too. You’re maybe even a bit sick of it by now. So you’ll be pleased to hear that I am going to tell you all about it. AIW is the first part of two parts with the second part coming next year even though it has already been filmed. They shot them all back-to-back like with the three BACK TO THE FUTURE films and the still-in-production 27 unwanted AVATAR sequels. The best thing about AIW was that it brought together EVERYONE from the Marvel and DC universes into one huge team-up movie. Superman, Batman and Antman all in one film, awesome! But, who else is in the Avengers? There is Steve Rogers (the talking horse) who plays Miss America. There is Chris Hemsworth who is all man. There is Bruce Banner who is half man (and half Hulk). There is Black Widow who is all woman. Fun Fact - did you know that Benedict Cumberbatch AND Robert Downey Jr have both been Sherlock Holmes? This is an amazing true fact! They go around solving crimes with help from Watson and sometimes have to save him as Watson is often in Jeopardy (super subtle joke for computer nerds). Anywho, in the plot of AVENGERS: INFINITY WAR, you see that Mr. Thanos has to collect the infinity crystals from around the universe. It’s a bit like 'Pokemon Go' but with slightly more potential for cataclysmic devastation of life. The crystals represent different powers – Reality, Time, Sneezy, Dopey and Bashful. Thanos wants the glove so he can click his fingers and bring balance to the force. He tells the glove to kill half of everything. Not just superheroes but ALL living things. But Thanos himself is a living thing, so surely there was a 50% chance that HE would die too? Or did he tell the glove “of course this doesn’t include me, just everyone else in the universe, got it?” Surely that scene should have been included otherwise the film doesn’t really make sense and it would be an EPIC FAIL. Maybe they'll address this in the sequel. Anyway: the Avengers are about to stop Thanos by taking off his glove when Starlord punches him in his CGI face and it all goes wrong. Fun Fact - Did you know that Starlord is played by actor Chris Pratt? He got the role because he looks EXACTLY like Starlord! Just watch the film and you’ll see what I mean, it’s uncanny, they could almost be the same person! Chris Pratt was discovered years ago on TV when he was recreating a park with Amy Poehler who is also Amy Schumer as far as most people are concerned. Surely it’s not possible for there to be TWO funny Amys? Well, if you’ve ever seen Schumer’s live set you’ll know that this is DEFINITELY not possible. But Poehler IS funny and she is the real star of Parks and Rec which brings us back to Chris Pratt. After his success in TV land, Chris Pratt was grabbed by the Hollywoods and told to fight T-REX in Jurassic Park. This was his big chance for stardom and he gave it his all. Jurassic Park is a classic movie even though it is actually set in the Cretaceous period as any dinosaur expert would love to tell you if they completely miss the point. As everyone knows these days, in reality, the T-REX was covered in feathers and would have been able to catch that Jeep easily by swooping down on it from above. But every day Spielberg would go into the CGI and pluck out all of the feathers while it was asleep so that the dinosaurs looked right. What a monster! Unfortunately for Pratt, he was contractually obliged to be in the other Jurassic films which were increasingly rubbish apart from Jurassic World which was really good if you have no taste. His career looked to be over when suddenly he was recruited to be an owl in LEGEND OF THE GUARDIANS OF THE GALAXY. This was a good move. 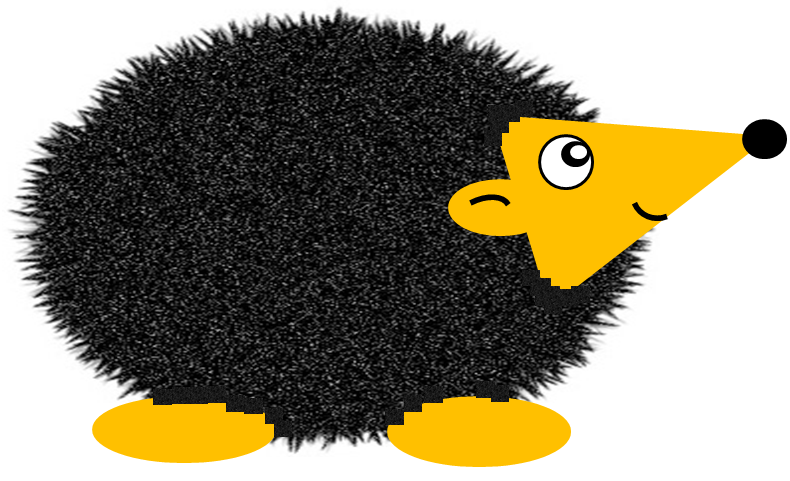 You don't follow Hedgehog on Twitter? WTF is wrong with you?